The Building Regulations set down the minimum requirements that must be observed by anyone in Glasgow who is planning to construct, alter or change the use of a building. In order to be able to successfully construct, alter or change the use of your building it’s important that you have applied for a building warrant. Failure to do so could result in building work being altered or demolished, costing you money. 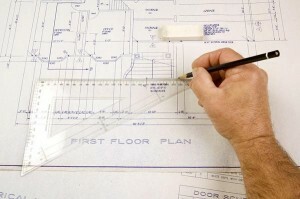 Here at Archi Plan Glasgow we specialise in building warrant applications and have done the plans for customers in the Glasgow area for a number of years now. We have gained an excellent reputation in this time, this is because we are committed to providing a first-class service to each and every customer who comes to us. The time that is taken to assess an application depends on the complexity of the project and the quality of the submitted information. If the information is in compliance with the technical standards then you will be issued with a building warrant. We use the latest facilities and software when we are doing building warrant applications for customers in Glasgow, this allows us to offer a service that is second to none. Throughout the full process we will remain in contact with you, this way you will be fully informed on what stage your building warrant application is at. We charge decent prices for our building warrant drawings and would be more than happy to give you a free quote before any drawings are produced, all you have to do is get in touch with us.